Can’t Go Wrong In Wearing Your RED! 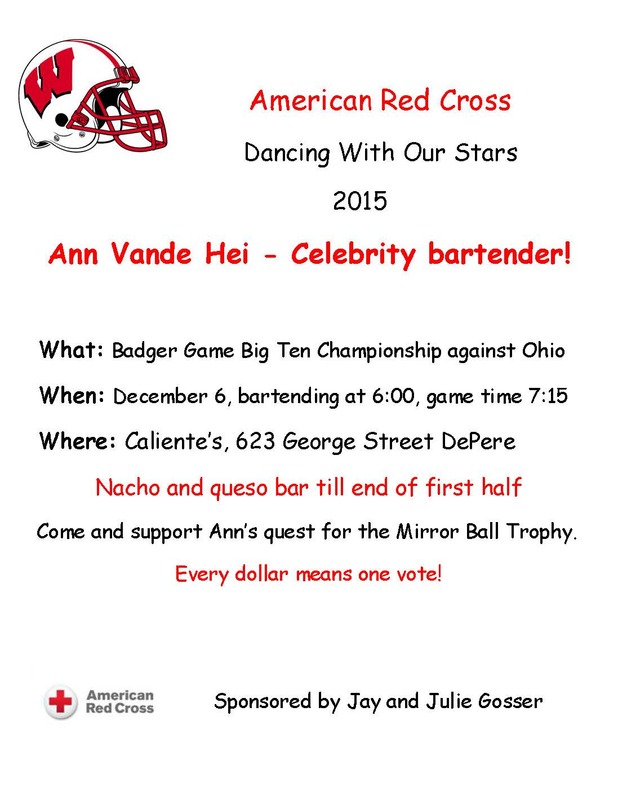 Wear RED to show your support for the Wisconsin Badgers and DWOS15 dancer Ann Vande Hei! Everyone looks good in RED! CHEERS! I sure wish I could attend and watch Ann shake that shaker….you know that thingy you make drinks in…now come on folks…….Wishing you a fun filled night Ann and I know you will get lots of tips…..